Nicolas Suzor does not work for, consult, own shares in or receive funding from any company or organization that would benefit from this article, and has disclosed no relevant affiliations beyond their academic appointment. Everyone knows there’s a problem with copyright. Artists get paid very little for their work, and legitimate consumers aren’t getting a very fair deal either. Unfortunately, nobody agrees about how we should fix it. Speaking at the Australian Digital Alliance forum last Friday, the Attorney-General and Arts Minister George Brandis said we might have to ask Internet Service Providers (ISPs) to police copyright, in order to deal with “piracy”. In 2012, the High Court in the iiNet case thought it wasn’t a good idea to make ISPs responsible for protecting the rights of third parties. Now, Senator Brandis suggests that perhaps we should change the law to require ISPs to warn subscribers when a publisher makes a complaint against their household. Then, ISPs would reveal the identity of subscribers who had multiple allegations (in the best case), or slow or disconnect their service (in the worst case). These schemes have been trialled in New Zealand, France, the UK and the US, and there is no evidence that they actually work. The huge problem is that if a warning system is going to have any deterrent effect, it likely needs penalties to be imposed in massive numbers. To keep costs down, we will have to cut corners with due process. ISPs simply aren’t equipped to interpret copyright law, adjudicate on the facts, and impose appropriate penalties. In our system of rule of law, only Courts can be trusted with these sorts of powers. The real problem with copyright is that it is losing its moral force. The music industry got a bad name for itself many years ago, when it became apparent that only a tiny proportion of artists make money from even quite successful albums. The way publishers have reacted to the internet has alienated even more people. 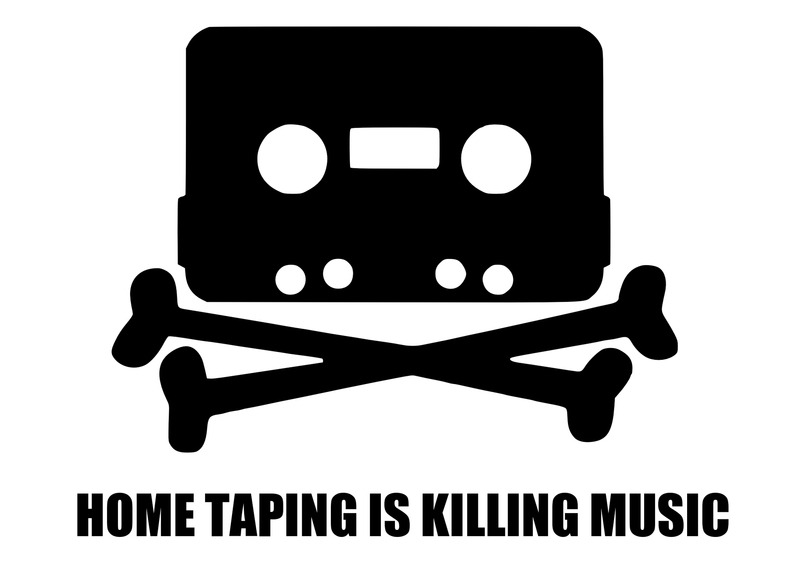 To crack down on pirates, copyright law has been getting stronger and stronger for decades. But treating audiences and fans like pirates is only making the problem worse. If people don’t care about the law, they’ll only follow it when they have to. That’s why people don’t jaywalk in front of police officers. The only way to enforce a law that nobody cares about is to have massive penalties and constant surveillance. The US already tried introducing massive penalties – defendant Jammie Thomas-Rasset was fined US$222,000 for sharing 24 songs. It hasn’t worked. The industry has also tried to convince consumers that copying is wrong. It uses language such as “piracy” and “stealing”, and ads like “You wouldn’t steal a car”. It’s not hard to see that these don’t work: you wouldn’t download a car either. The only way to fix copyright is to restore its legitimacy. This means not treating consumers like pirates, and instead ensuring copyright is a fair way to organise our creative industries. In practical terms, this means removing many of the barriers Australians face to actually paying for content. Australians can’t get access to foreign services such as American providers of on-demand media streaming Netflix and Hulu, or even easily stream Australian sport or television. The lack of competition also drives up prices – Australians pay much more for books, music, movies, games, and computer software than people in other countries. A parliamentary report, At what cost? published in July 2013, found that, on average, eBooks are 16% more expensive, music costs 52% more, and games are 82% more expensive in Australia! Then there’s a lot of restrictions on devices – if you buy a Kindle book, you’re locked in to Amazon’s devices or apps forever. Even worse, the industry continues to enter into exclusive deals that just drive people to infringe copyright – such as American cable network HBO only allowing Australians to legally watch the hugely popular fantasy television series Game of Thrones if they sign up to Foxtel! In general, it seems that Australians really do want to pay for access to content, but we don’t like being ripped off. The way to fix copyright is for the industry to let Australians pay for access. overly long, unnecessarily complex, often comically outdated and all too often, in its administration, pointlessly bureaucratic. This is great news, but we need to do more than that. Copyright law needs to be both simple and fair. Last week, the Australian Law Reform Commission recommended in a report on the digital economy that copyright should be changed to introduce a “fair use” right, which would legalise many things that most of us often assume are already legal. Fair use allows people to do things such as rip a DVD to their tablet or post a video on YouTube of their baby dancing to the radio. Fair use also helps artists – it just might have prevented Australian rock band Men at Work from being sued for using two bars of the old Kookaburra Sits in the Old Gum Tree tune in Down Under. Groups representing authors are really worried about fair use, but they shouldn’t be. Mainly, it allows types of uses that don’t harm authors. What it doesn’t do is allow what the industry calls “piracy”. The most important thing fair use does is help distinguish “piracy” from what ordinary consumers and creators do all the time. If it can do that, there’s a hope that we might have copyright law that people believe in. This will work out much better, in the long term, than treating consumers like pirates.